Paperlogix 1.5 is available now in the App Store. 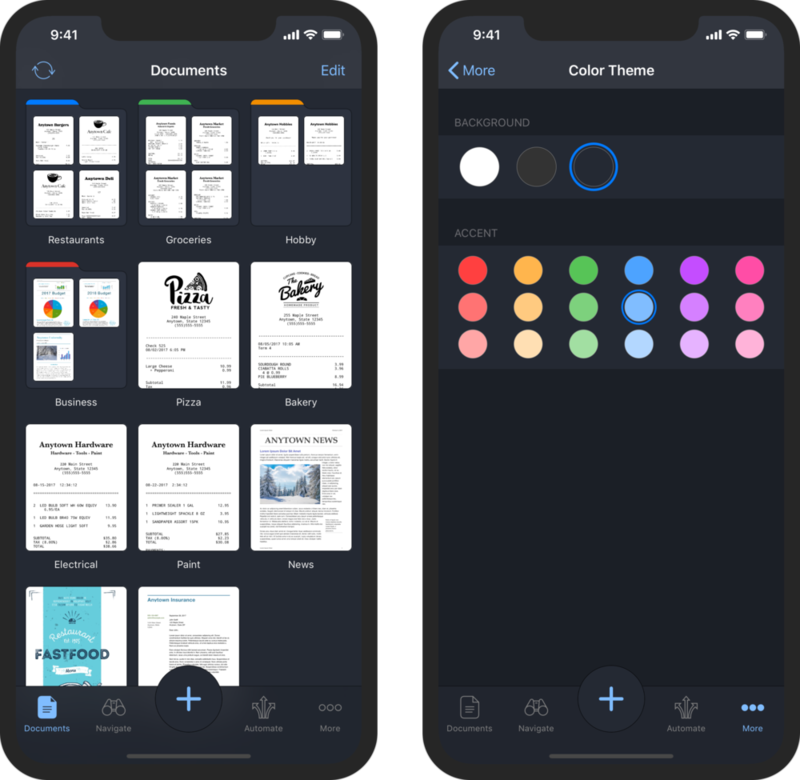 This update includes support for customizing folder tab colors, new features for capture presets (Pro), and a convenient new toolbar area located above documents. Paperlogix 1.3 is available now in the App Store. This update introduces several improvements for automation and text rules in Paperlogix Pro. Paperlogix 1.2 is available now in the App Store. Paperlogix will now be offered as a free app with an in-app purchase for enabling Pro features. If you purchased a paid version of Paperlogix (prior to this update), you will receive a free upgrade to Paperlogix Pro. If you purchased a paid version of Paperlogix (prior to this update), the app should automatically upgrade to Paperlogix Pro by checking your App Store receipt. You can also restore your purchase by tapping Restore Previous Purchase in the More view. Paperlogix 1.1.1 is available now in the App Store. This is a small update which includes support for Evernote Tags.